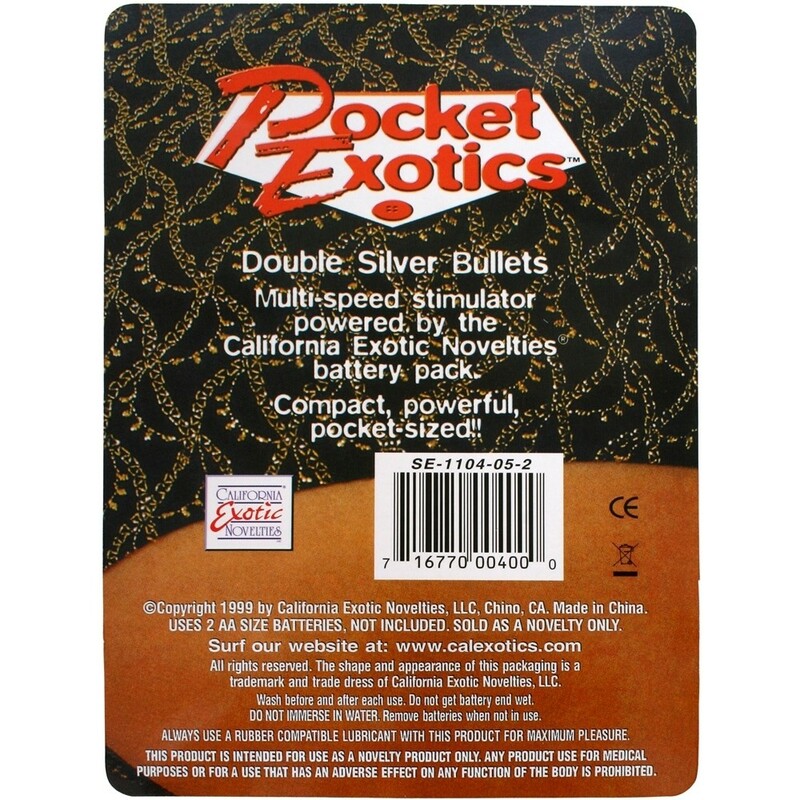 Pocket Exotic Double Silver Bullet has an average product rating of 4.0 from 1 review. Features Requires 2 AA batteries. Not included. 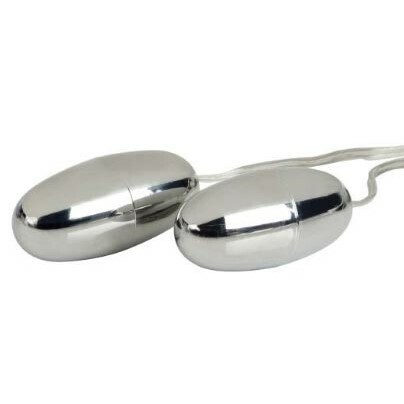 Pocket Exotic Double Silver Bullet has scored a 4.0 average from 1 reviews. 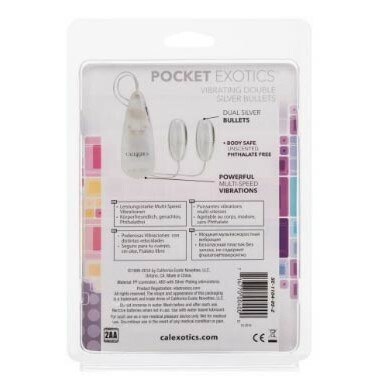 Review "Pocket Exotic Double Silver Bullet"